The EZ Launch system for canoes and kayaks is modular and can be configured to match any dock setup you require. Designed to withstand extreme weather conditions, the dock can remain in the water year round since ice has no effect on the dock structure. Our EZ Kayak Launch comes in two models — one that is ideal for most residential applications and one that is designed for compliance with the Americans with Disabilities Act. Getting in and back out of your kayak or canoe can be a challenge. The one way EZ-Launch kayak system changes all that. The EZ Launch can be easily attached to any floating dock. It allows for effortless access the water without the traditional challenges associated with kayaking and canoeing. Aluminum rails extend over the water allowing you to easily dry dock your canoe or kayak. A full drive through launch experience. Aluminum rails extend over the water at each end. Rather than pushing back as you would with the “One Way” system you push yourself forward using the aluminum rails as they extend over the water. Once your journey is complete come back to the EZ Launch and use either side of the EZ Launch to pull yourself in and dry dock you Canoe or Kayak. With the addition of the ADA Transfer Bench system people with disabilities, children or seniors will feel confident transferring into their watercraft independently and securely and launching with stability and ease. The easy-to-use transfer bench and transfer slide boards allow users to just sit, slide over and drop down into a kayak or canoe then use the side rails to pull off or back on. 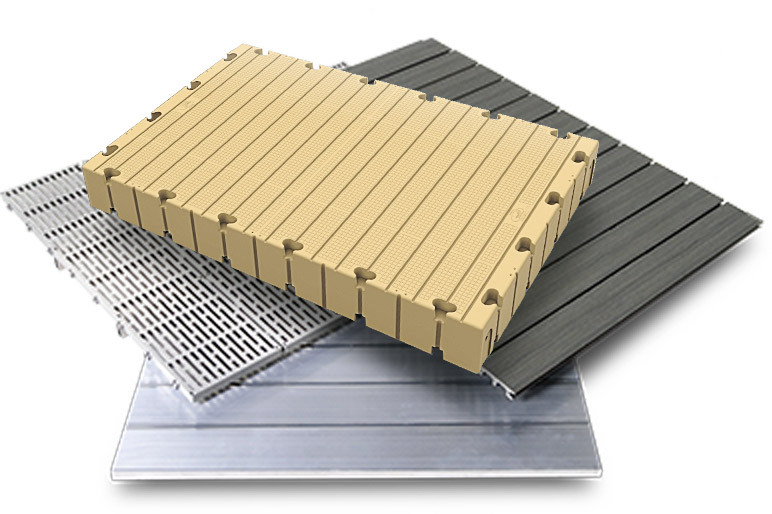 Commercial and industrial, and much more — our top-quality dock sections are safe, sturdy and built for the long haul. Q: Is EZ Dock environmentally safe? EZ Dock is made to be an environmentally friendly product that you can safely put on the water. Our dock sections do not rust, splinter, dissolve or have any paint or chemicals that can leach out and harm the environment.